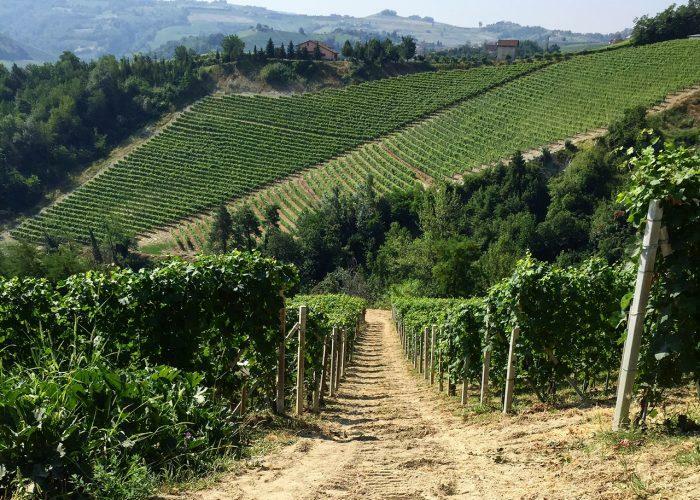 The steep slopes of Seghesio's winery in Monforte d'Alba were not always carpeted in vines. It wasn't until 1964 when Ettore Seghesio, a tenant farmer working the land, saved enough money to purchase the farm from its owners – and had the foresight to plant vineyards of Nebbiolo! For many years, the family's grapes were sold off in bulk to other producers in the region. In 1998, Ettore's sons, Aldo and Riccardo, took over the family estate and began bottling wine under the Seghesio label. Their outstanding terroir, together with a perfect blend of traditional and modern vinification methods, results in the production of lovely wines that have been greatly praised by the Italian and international press. Riccardo is now at the helm of the estate after Aldo's sudden passing in 2010. In addition, Aldo's two sons, Sandro and Marco, and his daughter, Michela, now work full-time at the estate. This is truly a family operation steeped in tradition. Wine Spectator 90This is loaded with zesty blackberry and raspberry fruit, offering a vibrant structure and appealing accents of toasted sage, white pepper and licorice. Drink now through 2027. Wine Enthusiast 92Grippy in wound-up black fruit and black pepper, this is a ripe, bright and softly layered wine, completely in keeping with its old vine status in dusty, complex notes. Spicy cinnamon and leathery pepper combine on the lengthy finish. Wine Spectator 93"Plump and luscious, this is jam-packed with fruit. Lively blackberry, pepper and other spice box aromas lead to ripe and rich flavors of black raspberry, caramel and licorice. There are more complex Zinfandels, but few that are more enjoyable to drink. Drink now through 2022." Wine Spectator 92"A lively, zesty red that offers bright cherry and tarragon aromas and sleekly layered flavors of briary raspberry, nutmeg and fresh- cracked black pepper." Wine Spectator 93"A winning combination of rustic richness and sleek balance. Aromas of briary wild berry and spicy mocha lead to dense, layered flavors of black cherry, grilled anise and pepper. Drink now through 2022." Wine Spectator 92"An excellent wine from a challenging vintage, with aromas of black cherry and spice opening to rich wild berry, mineral and toasty sage flavors that wrap around a concentrated core of acidity and tannins. Best from 2015 through 2021. 87,000 cases made." Wine Spectator 93 "Offers wonderful complexity, depth, focus and range of flavors, with ripe raspberry, black cherry, plum and mineral notes. Full-bodied, with a touch of black licorice and plum jam joining the firm, structured finish. Drink now through 2018. 610 cases made. (6/22/11)"
"Scents of raspberries and mulling spices. Medium-bodied and elegant with flavors of raspberries and black currants. Slight black-pepper notes with a hint of clove and dried herbs. High elevation acidity adds structure and synergy. Rockpile's underlying minerally earth character and good balance"